General Manager Amanda Brisot is the person to call if you’re excited about growing your business in Western Sydney. Her focus is on facilitating collaboration. 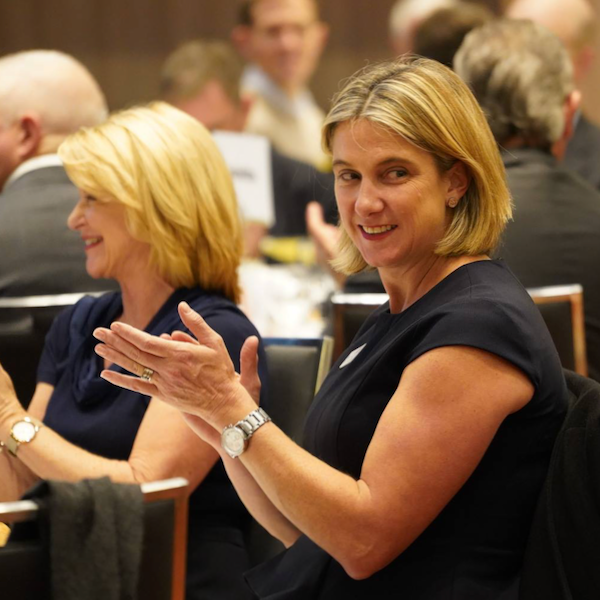 She excels at seeing opportunities to bring businesses in Western Sydney together to connect and grow. Amanda is full of passion for her role and in fact she dreamt of this opportunity for a long time. She grew up in Western Sydney - her oldest friends are here. And more than wanting to change entrenched views of the region, she wants to be instrumental in the change herself. She is constantly struck by what an influential crowd the WSBC membership base is. She sees a group that with the right project and direction can make a difference and see massive change in the region. From Strategic Matching events connecting like-minded businesses, to the Western Sydney Visitor Network Project, Amanda is astute in finding gaps and spotting opportunities in Western Sydney. Her wealth of contacts and her networking abilities are of proven value to members. Above all there is an authenticity to Amanda and the team at WSBC. There is a genuine interest and desire to create a prosperous future for Western Sydney. Amanda is stubborn - she won’t stop until perceptions have changed and the whole of Australia sees Western Sydney for the down to earth, welcoming place that it is. Western Sydney can longer be ignored under her watch - its success story is already here. Membership Manager Julie Falzon's motivation is to improve every aspect of the Western Sydney region. She wants to see more employment, business growth and opportunities for WSBC members. She has her finger on the pulse of what’s going on in Western Sydney and knows what’s important to you. Julie seeks to give every member of WSBC, at all membership levels, the best possible member experience that she can. That is where her heart is and where her true passion lies. WSBC members are busy people. Julie always goes one step further to deliver personalised membership services quickly and efficiently so you can get on with what you’re best at - running your own businesses. She connects, updates and shares her wealth of regional knowledge, saving you time by anticipating what you need before you have to ask. She wants to give members extra value in their subscriptions with her personal touch, because for Julie, it’s the little things that count. She will always be there to welcome you to WSBC events, with a warm smile and your name tag at the ready. Tracy Dawson is the Marketing and Events Manager at WSBC and her passion is bringing the high standard of a city event to the west. Tracy is adept in putting ideas into action - she knows what draws a crowd. Tracy sees to it that each and every WSBC event delivers the best possible guest experience. Tracy’s events run like clockwork, a must for busy business owners. Her attention to detail from timing, presentation, facilities and seating ensure that guests get a great experience... members are happy... and business leaders make fruitful connections. She takes care of every element to make sure schedules run smoothly and delegates are well looked after. Western Sydney’s business community deserves the best possible event experience. So it’s important to Tracy to challenge the mentality that events held in Western Sydney cannot compete with those in the Sydney CBD. It is her philosophy to always give her best. And she is proud that WSBC events have a reputation for their professionalism and high standards. Western Sydney born and bred, Melinda takes care of all things accounts related at WSBC. With a background in Project Accounting for large power station builds, she is skilled at forecasting, keeping projects on time and budgets on track. Melinda is excited to see how much Western Sydney has changed and grown from when she was a child. She is looking forward to the opportunities her children will have in the future as part of a growing Western Sydney. She loves working for an organisation that brings diverse people from all over the region together, from all different industries, to help each other and create new opportunity for Western Sydney. The future looks exciting and Melinda is happy to be a part of it.